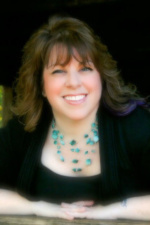 Today it is my pleasure to Welcome author Samantha Chase to HJ! Hi Samantha and welcome to HJ! 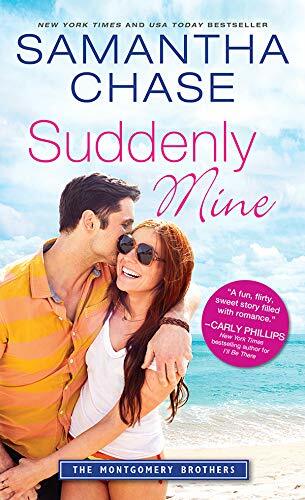 We’re so excited to chat with you about your new release, Suddenly Mine! E is for ever after! “Don’t these people have jobs?” Christian Montgomery murmured to himself as he sipped his morning coffee. For a while now, he had taken to having his coffee out on his deck before going into work. It was a chance to breathe in the fresh air and have some peace before the craziness of his day. People-watching had become his favorite hobby, and as odd as it sounded, he found it relaxing and therapeutic. I had gone on a writing retreat with a group of author friends to San Diego several years ago and we stayed at a resort right on the beach. I sat outside a lot people watching and was fascinated with the surfers. I already knew I was going to be writing Christian’s story and the thought of him doing something like this – people-watching – just sort of took hold. It made me want to create the kind of heroine who would stand out in the crowd. The original manuscript had a much darker backstory for Sophie. I had seen a documentary on the children of convicted killers – primarily, when one parent killed the other. So when you sometimes ask where I get my inspiration, now you see a firm example how it can come from anywhere! Even a documentary about murder! Anyway, I was fascinated and wanted to have that be her background and the book was written that way. Ultimately, that got vetoed and I had to tweak it a bit. I won’t say that I’m disappointed, but I am a little. It was a little too dark for my Montgomerys and I can see that now. The original Montgomery series was only supposed to be three books. Then I branched out and extended it by four and I thought that was it. It was a reader who reminded me that I had mentioned a Christian Montgomery in an earlier book and would he get a story! I had completely forgotten about him! So that’s how we ended up with SUDDENLY MINE, UNTIL THERE WAS US, and the last book in the series (coming September 2019), A DASH OF CHRISTMAS! 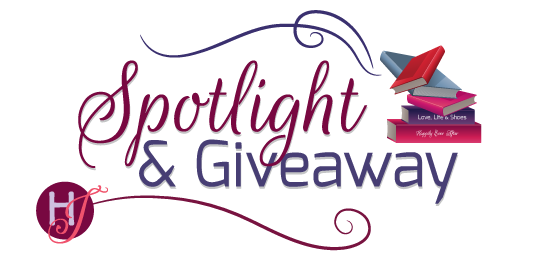 Giveaway: Print copy of Suddenly Mine (Montgomery Brothers Book 9) by Samantha Chase. Sophie Bennington has just fled from her small Kansas town to California, where she’s trying her best to embrace her new beginning. Soon Christian and Sophie find one another, and it feels like sanctuary. But when their difficult pasts catch up to them, will they run away from each other? I love how the book opens up. Thank you for the fun facts. Sounds like an amazing story to go with an amazing cover. Sounds like a great story and the cover is so much fun. I’m intrigued, for sure. Looking forward to learning more about Sophie’s past. I can’t wait to read the next installment of the Montgomery series. It sounds like it’s going to be a good read. I’m glad there are more Montgomery series books! I love the water and I was a nurse. I’m glad you lightened up the backstory for Sophie. I need to catch up on these brothers, but it sounds wonderful. I don’t think I would have minded the original background for Sophie. Sometimes I like a surprising shift in character depth. Enjoyed the fun facts & excerpt. Looking forward to reading more. Sounds great! I want to go knock on some guy’s door now! Loved the excerpt. Sounds like a great summer read! Sounds soooo good!! Samantha Chase writes outstanding stories. I would love to win a book by this author! I wonder whether I have to read the previous books in this series in order to understand everything that’s happening in this one. I love Samantha’s books. I would so love to win it, thank you. This sounds like another great book. I like the sound of this book… thanks for sharing! You know what they say you can never run away from your past. I’m so excited to see what’s going on with these two! Love the cover! Sounds like a book I want to read! Oh this sounds so fun and good! I love the romances that have that flirty fun side to them! Thank you so much for having me on the blog today! !